3rd or early 2nd century B.C. 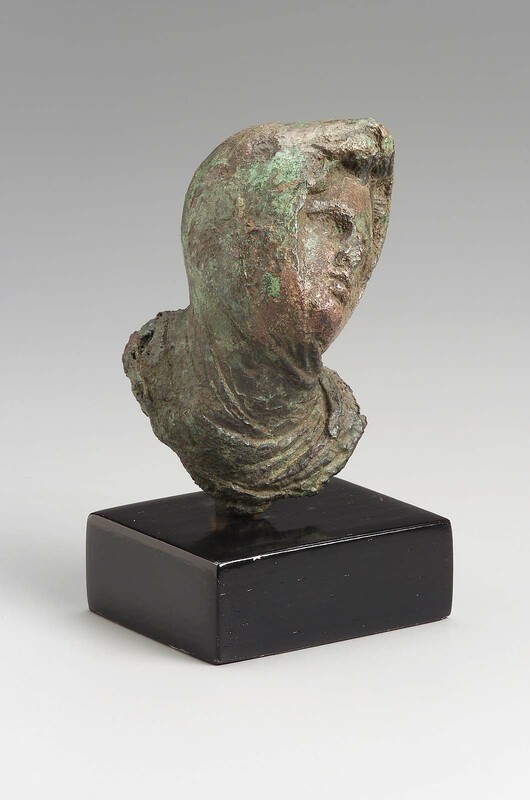 Greek, Etruscan, & Roman Bronzes (MFA), no. 086. 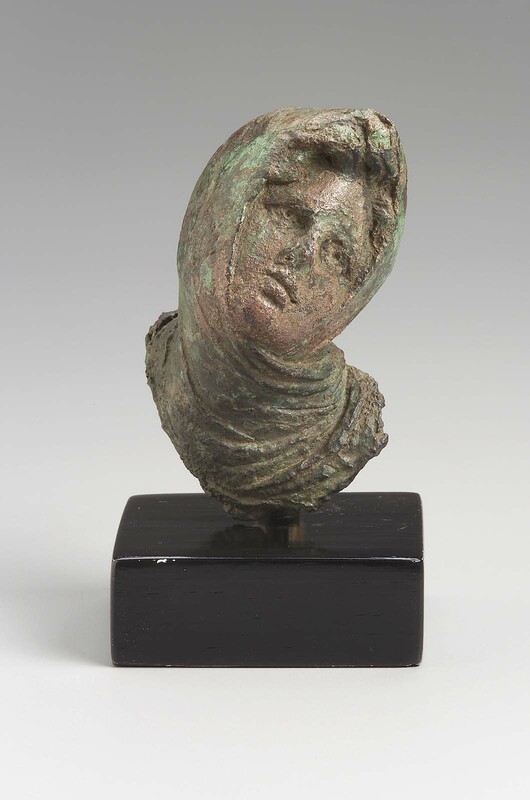 The head is bent upward and to the left, with himation wound around so as to leave only the face exposed. The work is very delicate. Light green patina; somewhat corroded. The pupils are drilled and were once presumably inlaid.